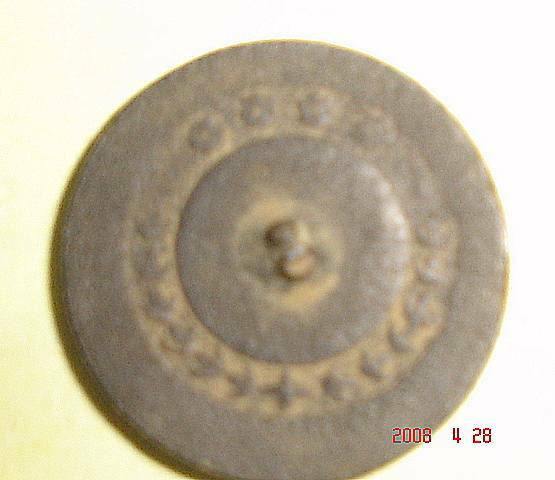 Heres some pics, size is 3/4" diameter, brass, looks like 6 bellflowers going one way, 6 going the other way on the bottom, one bottom center cross, (makes a total of 13) (maybe referring to 13 colonies?) the 4 stars? flowers? rosettes? on top. Look at how it is off centered just a bit. To me this thing looks like it Could be hand stamped, but I' m no expert, what do you think ?? Rich. 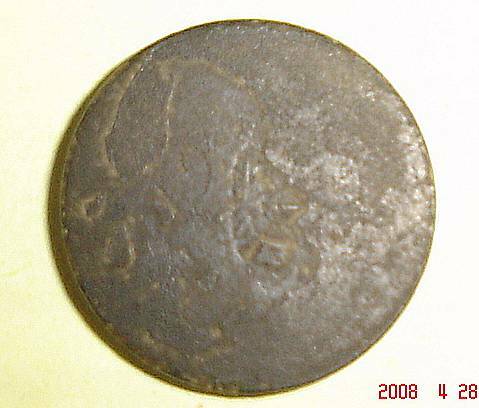 Nice old Button thanks for showing it,it is early ,maker unknown,NH ANDY. 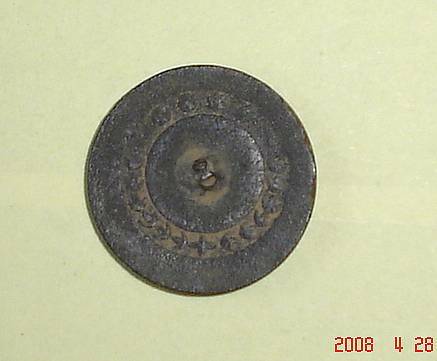 Subject: Re: OLD BUTTON ? ?